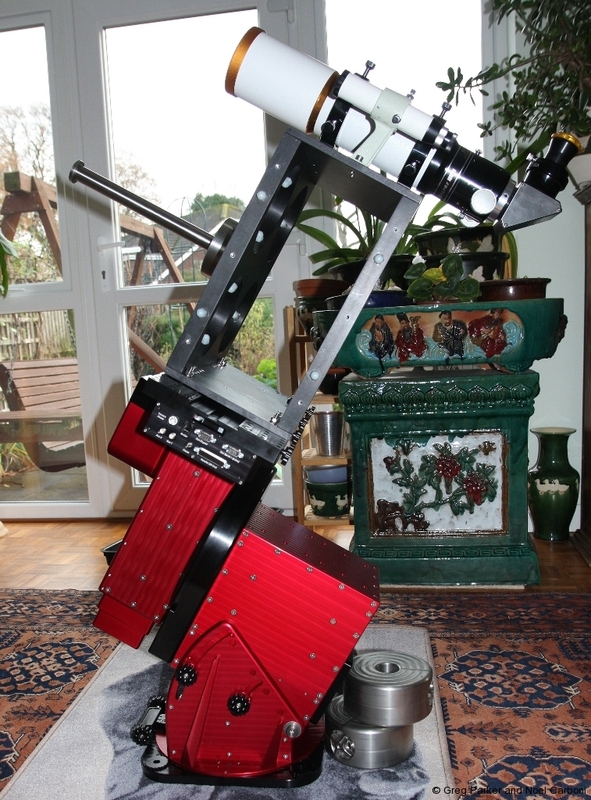 ← Star Vistas at Amazon U.K. 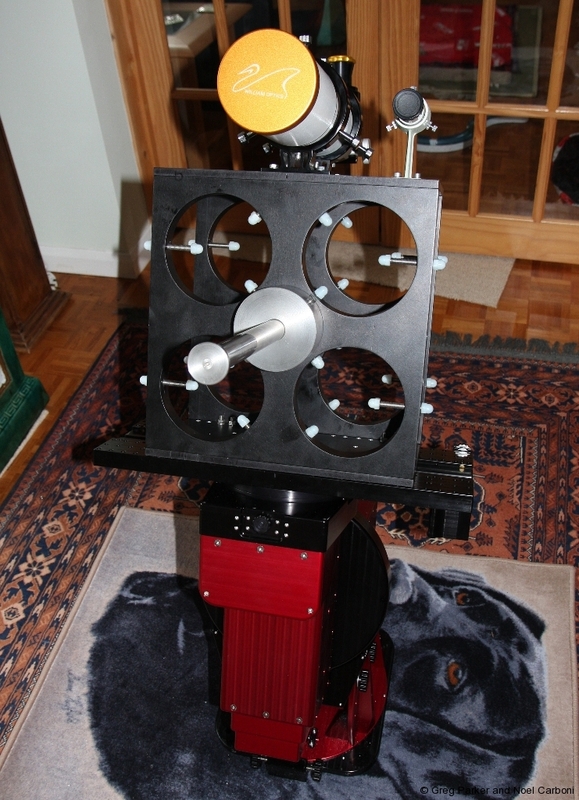 I bolted the mini-WASP telescope frame to the Paramount versa-plate to get a feel what the finished system will look like. The funny-looking device sticking out the front of the frame is a counterbalance arm for the weight of all the equipment that will sit on the back of the telescopes. I have left the two side panels off in this photo. I have also left out the 2 Sky 90s from the bottom pair of holes as I need to remove the Robofocus units from them before fitting to the frame – I might do this tomorrow and update the photos. The two holes at the top are for 2 x FSQ106 telescopes to be bought at some future (unknown) date, and these will be used for narrowband imaging. 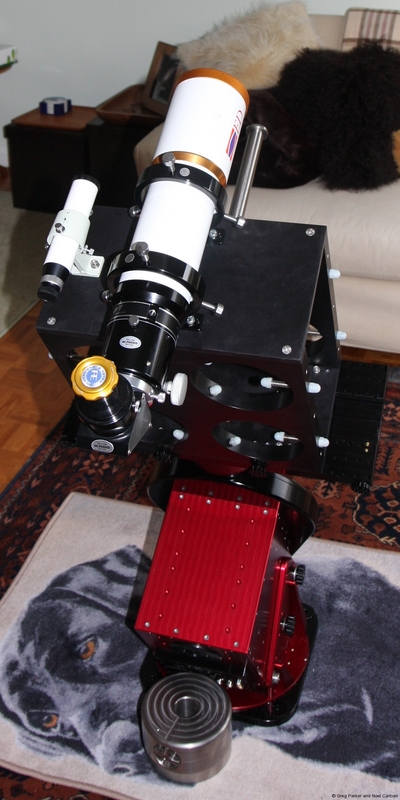 This is going to be some beast to set up prior to an imaging run and I’m glad I didn’t make provision for any more telescopes as I don’t think it would be viable to get them all sorted without losing a lot of good imaging time per session.